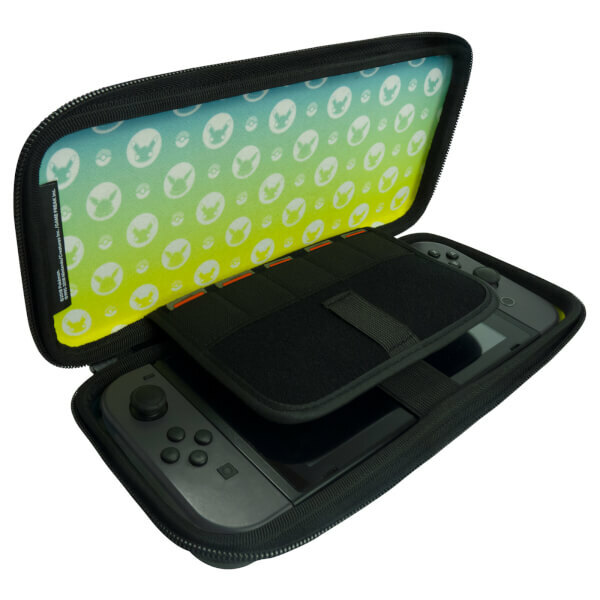 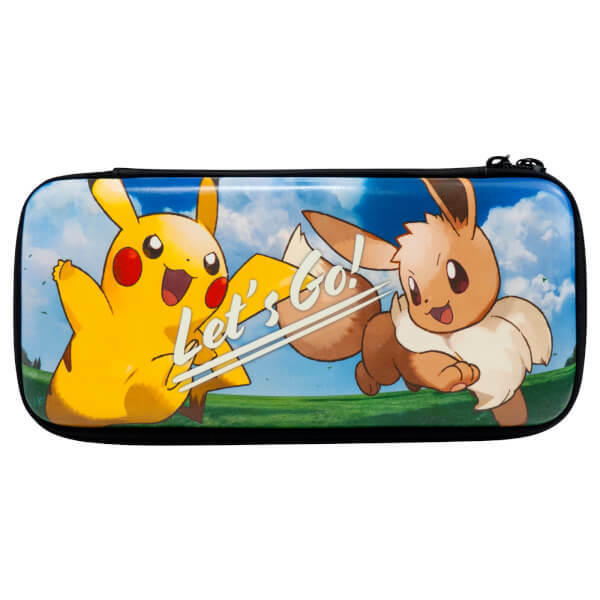 With this Nintendo Switch Hard Pouch (Pokémon: Let's Go, Pikachu and Eevee), you can play your Nintendo Switch anytime, anywhere in style. 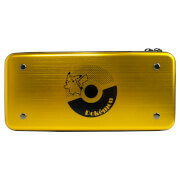 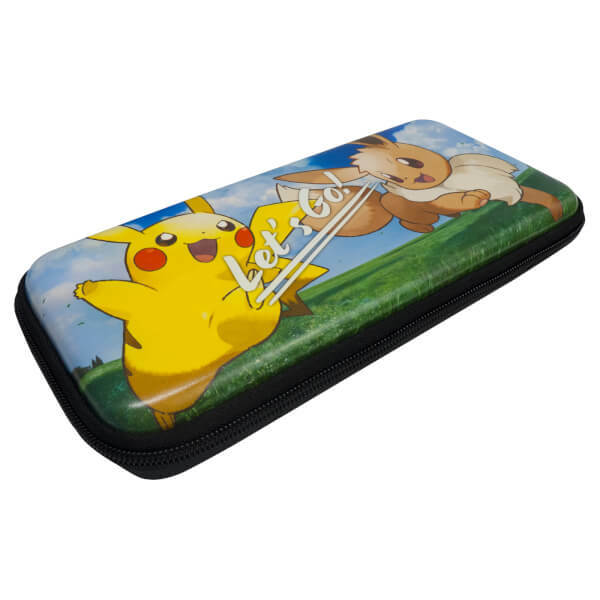 This Pokémon case features both Pikachu and Eevee and provides storage for your Nintendo Switch console and five game cards. 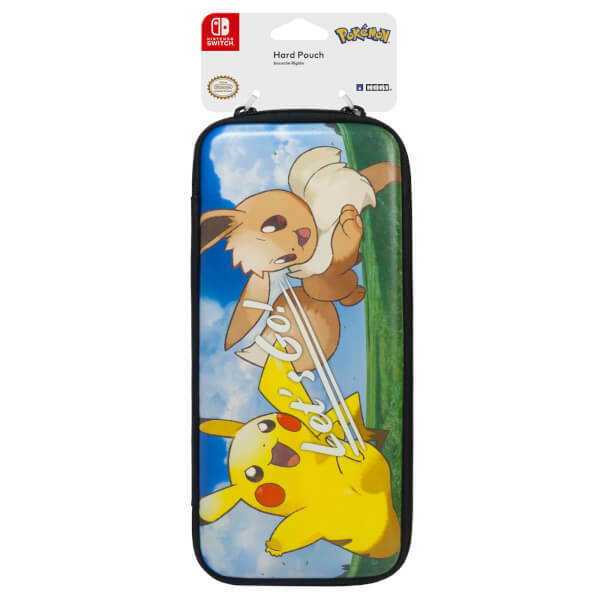 Very good quality and the pokemon design is great.